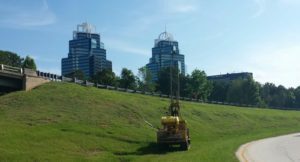 Drilling With a View - Betts Environmental Recovery Inc.
Betts has been drilling the i-85 and i-400 project for quite some time now as it is a job that keeps on giving which of course is everyone’s favorite kind. We have been providing geotechnical drilling mainly with ATV rigs for about two years. 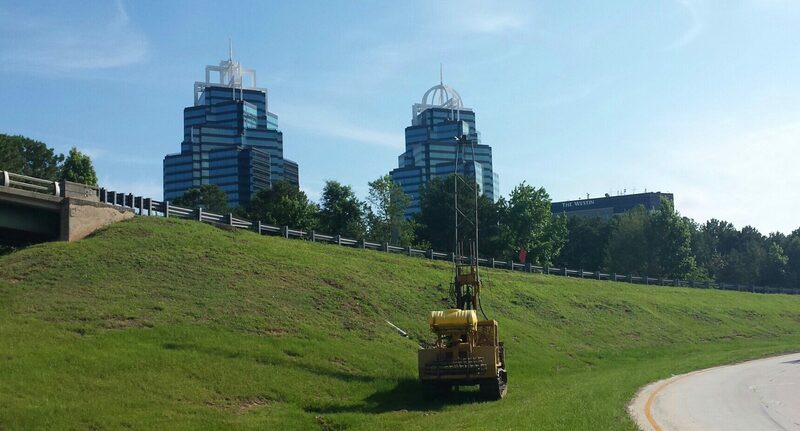 The work has been split by our Atlanta office’s crews and our Adel crews. Catching a nice view like this one on break makes the hard work worthwhile.